Home » Carb Blockers » Carb Blockers Review: Do Carb Blockers Prevent Absorption Of Carbohydrates? Some years back, scientists thought they had found the miracle carb blocker supplement when they discovered that a compound called hydroxycitric acid (HCA, Citrimax) interfered with the body’s ability to convert carbohydrates into glucose. Unfortunately the initial tests were performed on animals, and nobody bothered to verify that this substance would work equally well in humans. And when they did… well, it ended up that for the most part HCA was a dud, even though it’s still included in many popular products today. “Garcinia cambogia failed to produce significant weight loss and fat mass loss beyond that observed with placebo. Some conflicting data does exist however; this small Europrean study for example, showed HCA increased satiety and reduce energy intake. Despite this contradictory information, one newer form of hydroxycitric acid—called SuperCitrimax—does show some promise as a genuine weight loss aid, and it’s the one to experiment with should you wish to do so (see J Med. 2004;35(1-6):33-48). SuperCitrimax is becoming more commonplace in carb blocker products, although most of the time it is extremely under dosed (the referenced study used 4666.7 mg of ingredient standardized to 2,800 mg SuperCitrimax daily). So, now that the effectiveness of Citrimax has been called into question by the clinical evidence, there’s a new generation of carb blockers on the market. The main active ingredient of most is “Phaseolus vulgaris,” which is standardized from white kidney beans. It’s found in many popular carb blocker products—like BSN’s Cheater’s Relief, for example. Does the white kidney bean carb blocker work? And if it does, how? Supposedly Phaseolus vulgaris interferes with an enzyme called alpha-amylase, which is needed to break starches down into the simple sugars that are easily absorbed by the body. Next obvious question… is there any real life scientific evidence to indicate it really does what the supplement retailers claim it does? It should be noted that study participants were restricted to consuming 2000-2200 calories per day. In other words, they were dieting. This definitely does not mean you can use carb blocking products and eat French Fries and other “no-no” high carb foods with impunity. At best, they seem to work moderately, and only in conjunction with a smart diet program. Another supplement showing possible carb-blocking activity is green tea. There’s some evidence it slows the action of a particular digestive enzyme called amylase. This enzyme is pivotal in the breakdown of starches (carbs), that can cause blood sugar levels to soar following a meal (see Am J Clin Nutr. 2006 Sep;84(3):551-5). And even if it turns out its carb blocking benefits are relatively insignificant, green tea offers a myriad of other benefits that makes it a worthwhile supplement for weight loss. As an example, it elevates the metabolism and increases calorie burn. You can read the full review of green tea here! Otherwise, there’s little evidence to suggest you can expect dramatic results from any of the products advertised as “carb blockers” on the market today. It’s a much better strategy to reduce your consumption of high-glycemic carbohydrates (breads, crackers, sweets, pastas, etc) altogether. If you insist on experimenting, Natrol’s Pure Citrimax is available from iHerb.com (use the coupon code FAT259 to get $5 off your first order). You’ll need to take 9 of these per day to approximate the dosage shown useful in the study. 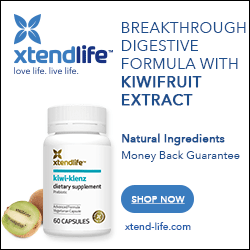 White kidney bean extract is a little cheaper to experiment with; any product that offers up 500 mg of standardized extract per serving will do. Natrol’s Carb Intercept from iHerb.com (use the coupon code FAT259 to get $5 off your first order) is as good a choice as any. I disagree with ur info. years ago I took citromax and it DID work wonderfully. present day, I have taken garcinia cambogia for 3 months and it worked like a dream. don’t care who u quote, the proof is in the ppl who use it. Mandy… personally, I’m glad you found this product helpful. That’s great! But unfortunately, your comment, “the proof is in the ppl who use it’ is incorrect. It’s hard to believe, but just because citrimax worked for you, does not mean it does anything. Your experience, I am sorry to say, is not proof. It’s not evidence. It’s called “anecdotal evidence” (sorry, I don’t make the rules, I just live by them). Anecdotal evidence doesn’t mean a whole lot because we human beings have biases. For example, many people who buy a weight loss product usually do some dieting and exercise along with it. Then they attribute the success they acheive to the product they were taking instead of simple caloric restriction. Or, alternatively, they buy a product and claim it doesn’t, when in fact they have continued to overcomsume calories. And to be clear… some scientific studies show carcinia has an effect. It’s just very, VERY small, and does not support the hype used to sell the product. Totally agree on reducing high-glycemic carbohydrates (breads, crackers, sweets, pastas) consumption. My wife had weight issues, we tried different diets and supplements, she says that alltogether it helped her, tho I am sured that reducing bread and sweets is the reason. Judy, as far as I am aware, BioBurn is sold in powder format (see https://globalformulas.com/product/bioburn-cherry-limeade/), and does not claim to stop the body from absorbing carbs. If there`s a formula that does, can you please include a link to it?